Qingdao is striving to build a modern industry system, push forward the construction of key projects and take the lead in the conversion of new and old growth drivers. 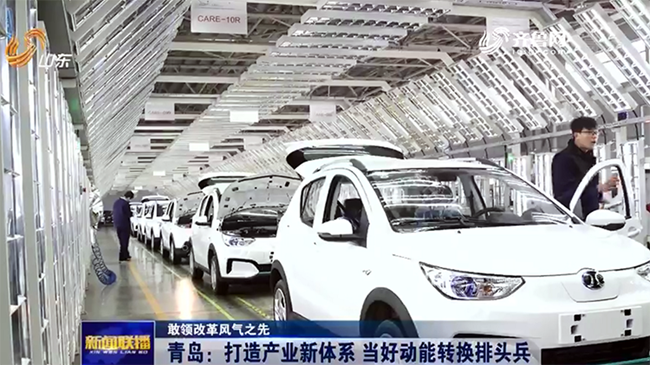 The Qingdao production base of the BAIC New Energy Vehicles Co has become the largest of its kind in the country after three years of development. "Thanks to the joint efforts of the government and the company, the base went into operation two months ahead of schedule, with an expected output value of 2 billion yuan ($287.68 million) within 60 days," said Yan Zhonglei, the base's deputy manager. Its sales volume of new energy vehicles is slated to exceed 90,000 this year. Led by BAIC New Energy Vehicles Co, a new energy vehicle industrial cluster is being fostered in Qingdao. The cluster will integrate the process of manufacturing and assembling vehicle components, and the research and technology of vehicles. The FAW-VW (FAW-Volkswagen Group) plant is another leading manufacturing base in Qingdao. Its first vehicle came off the assembly line recently. When it goes into full operation, the plant will see an annual output of over 600,000 vehicles, with more than 70 percent of them being manufactured automatically. Qingdao's thriving auto industry is being driven by new energy and intelligence. By 2022, the city's vehicle output will exceed 1.8 million while the main business income will top 170 billion yuan. Jiao Chensheng, director of the industry department of Qingdao Development and Reform Commission, said, "The city aims to promote the auto industry by joining together the settlement of influential companies in the field of vehicle production and the gathering of key auto component resources." Meanwhile, Qingdao has also put a great emphasis on the development of the general aviation industry. 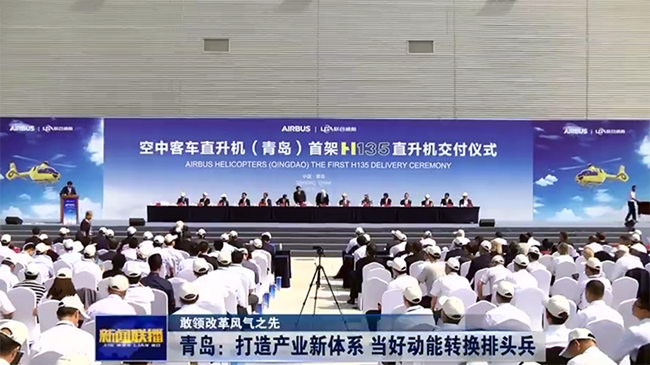 Airbus Group, one of the world's biggest aircraft manufacturers, has set up an assembly line in Jimo, a district of Qingdao, to build the H135 helicopter, a kind of light twin-engine helicopter widely used in medical rescue and policing. The assembly line is the group's first one outside Europe, with 100 helicopters having been ordered by domestic companies. 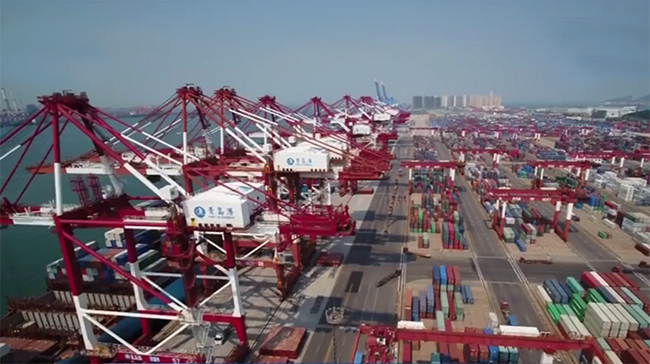 Based on the government plan, Qingdao will focus on strengthening nine featured industries including modern marine, smart appliance, rail transit equipment and auto manufacturing, promoting five emerging industries such as new information technology and bio-medicine, and upgrading six traditional pillar industries. It plans to construct 970 key projects worth 1.6 trillion yuan. The development and reform commission has set up 20 working groups to propel the settlement and production of the projects. During the first 10 months of 2018, Qingdao signed agreements for 153 projects, newly constructed 386 projects and completed 164, which gave momentum to the city's conversion of new and old growth drivers.